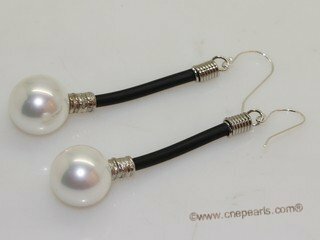 Fashion sea shell pearl dangle earrings. 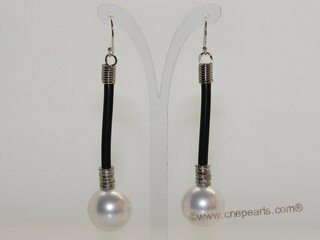 With large 14mm round sea shell pearl swing from leather cord,combine with silver tone earring hook and fitting. This list price is for one pair 14mm round shell pearl earrings!